There are so many supplement choices, so many products, and it can get down right confusing! The overwhelming choices and wrong information can not only put a large dent in your pocketbook but it can give you false hope, disappointment, and worse case – even make you sick. There are more bad supplements than great ones but when you find the “great ones” they CAN enhance things. Isagenix is one of the “great ones” . 99% of their products are gluten free, and ALL of their products are soy free, and void of artificial flavors and colors. As a whole, they are quality products that are more natural than many popular supplements out there. Even though I believe that REAL food is best when compared to ‘meal replacements’, I do recognize that always having to eat real food is a key factor that holds many people back from achieving their goals. Convenience is a huge variable and I have actively searched for a quality meal replacement shake that I would feel comfortable suggesting to people that need it. The Isagenix meal replacement shakes are the closest ones I have found to mimicking the nutrition I would ideally like to see in a meal. No shame in this game! I like the residual income aspect! Actually, I LOVE the residual aspect. Who wouldn’t? You continue to get paid for sharing quality products you love and believe in with others. I do not use every Isagenix product, and I do not market them as ‘cure all magic pills’ either. I use quite a few of their products and they are great supplements to my daily nutrition and workout routines. Sharing that information with others, and helping them get in shape and reach their goals is great, but why not take it a step further and help others create a residual income stream from sharing something they are passionate about – health, nutrition, and fitness. Nutritional Cleansing: What is it? My personal experience with the system was phenomenal and after only four days I started seeing and feeling results that I wouldn’t have thought possible. I saw immediate reduction in my body fat percentage and an incredible improvement in my performance and energy levels. After introducing the system to friends and family and witnessing their remarkable transformations, I truly believed Isagenix to be the foundation of a nutritional plan EVERYONE should start from. I now recommend and endorse the products with my clients and continue to be amazed with how it improves the many different aspects of their training and accomplishments.I believe in the 70-20-10 ratio for overall fitness and health. 70% is our nutrition plan, 20% is how we exercise and 10% is what we do to rest and recover properly. Isagenix gives us the ability to monopolize on all three of those! No matter what your goals are; lose weight, improve strength, gain muscle and more, you will do so with the Beyond Fit system of training. However, if you want to see immediate results that will only improve and last a lifetime…nutritional cleansing with Beyond Fit and Isagenix is the complete solution. Unlike fasting/detox programs, nutritional cleansing is a gentle food system that eliminates harmful impurities by supporting the body’s natural ability to cleanse itself.The program is very affordable and includes FREE COACHING to accommodate personal needs and different body system responses. People discover a healthier lifestyle free of cravings, lower stress, fat loss, more energy, sounder sleep, improved mental clarity, better digestion and a renewed feeling of vitality! 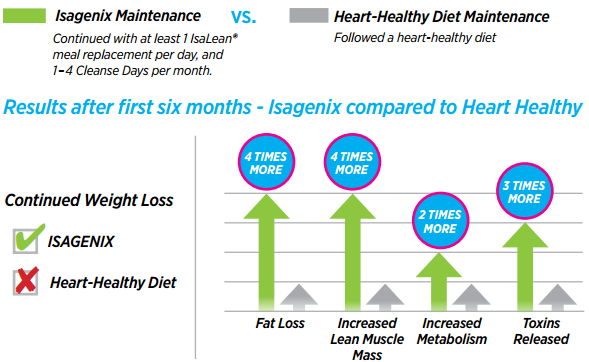 To find out more about Isagenix Cellular Cleanses, please visit the sites below. When you are ready to start your journey to a healthier lifestyle, please give us a call or send us an email.